Having enjoyed Pillars of the Earth, Wolf Hall, the Hollow Crown and many other historical epics, I would like to watch The White Princess, an eight episode British-American historical fiction television series based on Philippa Gregory’s 2013 novel of the same name, and which is out on DVD. 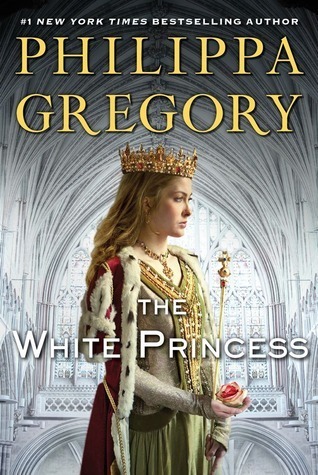 It is a sequel to The White Queen, a 2013 BBC-produced miniseries adapting three of Gregory’s previous novels. It features the marriage of Henry VII and Elizabeth of York which effectively ends the Wars of the Roses by uniting houses of Lancaster and York. However, the sinister political machinations of their mothers Elizabeth and Margaret continually threaten to tear both the marriage and the kingdom apart. It begins with Henry Tudor Arriving triumphantly in London after defeating Richard III in the Battle of Bosworth field, and Marrying Elizabeth of York in order to join the warring houses of Lancaster and York. Unfortunately Henry despises Elizabeth and Elizabeth despises Henry especially after he gets her pregnant before committing himself to marry her. So Lizzie decides to play the part of dutiful wife while she and her mother, the former Queen consort Elizabeth, secretly plot against the Tudors. Henry tours the kingdom to assert his sovereignty. Planning to accompany him to secretly rally York supporters, Lizzie’s mother Elizabeth is instead locked up in Westminster Palace by Henry’s own mother Margaret. Henry survives an assassination attempt by Yorkist Francis Lovell but suspects Lizzie’s involvement, however Lizzie denies any involvement, and wins favor with the common people by seizing funds from the Royal Treasury to aid those threatened by the sweating sickness. Lizzie eventually gives birth to Prince Arthur. Meanwhile Jasper Tudor visits Margaret of Burgundy seeking an alliance but peace negotiations are suddenly aborted by an incident at the Burgundy court. In the meantime, Lizzie’s mother Elizabeth is exiled to Bermondsey Abbey. The York princesses plan to marry Tudor loyalists, Margaret of Burgundy raises an army behind a peasant boy she has declared is Teddy Plantagenet. So Henry releases the real Teddy from the Tower, however Margaret, the King’s Mother, conspires to sends Teddy back to the Tower and declares the Dowager Queen Elizabeth complicit in the conspiracy, although Henry refuses to execute his wife’s mother. Margaret of Burgundy is rallying European support around a boy she recognizes as the true heir to the English throne, Lizzie’s brother Richard Plantagenet, the Duke of York. Henry sends Margaret, now Lady Pole, to prove that the boy is an impostor. Henry and Lizzie name their own son Henry as the Duke of York, but Lizzie’s mother, the Dowager Queen informs them that her son, the rightful King of England, is alive in Burgundy. Meanwhile Margaret causes more trouble for the Tudors. The science fiction western film The Dark Tower is out on DVD. It is based on the series of books by Stephen King that incorporates themes from multiple genres, including dark fantasy, science fantasy, horror, and Western. The series was chiefly inspired by the poem “Childe Roland to the Dark Tower Came” by Robert Browning. King also identifies The Lord of the Rings, Arthurian Legend, and The Good, the Bad and the Ugly as inspirations. He identifies Clint Eastwood’s “Man with No Name” character as one of the major inspirations for the protagonist, Roland Deschain. King’s style of location names in the series, such as Mid-World, and his development of a unique language abstract to our own (High Speech), are also influenced by J. R. R. Tolkien’s work. 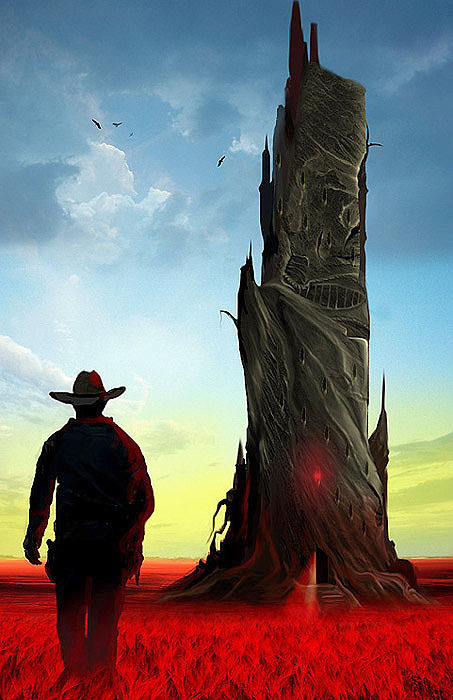 The Dark Tower combines elements from several novels in the eight-volume series, taking place in both modern-day New York City and in Mid-World, Roland’s Old West-style parallel universe. It also features Jake Chambers an 11-year-old adventure seeker who discovers clues about another dimension called Mid-World and finds himself spirited away to Mid-World where he encounters the Gunslinger, Roland Deschain, on his quest to reach the “Dark Tower” which is located in End-World and acts as the the nexus point between time and space. Along his journey to the Dark Tower, Roland meets a great number of people Including the Ka-tet of the Nineteen and Ninety-nine, consisting of Jake Chambers, Eddie Dean, Susannah Dean, and Oy. However The Gunslinger and Jake Chambers face a number of obstacles on their journey including various monsters, Walter o’Dim the Man in Black, Mordred and The Crimson King, and they discver that trying to reach the Dark Tower Is rather a challenge. The series, and its use of the Dark Tower, expands upon Stephen King’s multiverse and links together many of his other novels. King has described the series as his magnum opus. Many of King’s other books relate to the story, introducing concepts and characters who appear as the series progresses. The Film is Intended to launch a film and television franchise. International Civil Aviation Day is celebrated annually on 7 December. The day has been celebrated by the International Civil Aviation Organization since 7 December 1994, the 50th anniversary of the signing the Convention on International Civil Aviation. The purpose of the day is to recognize the importance of aviation, especially international air travel, to the social and economic development of the world. Scheduled air transport, including all passenger and cargo flights operating on regularly scheduled routes; and General aviation (GA), including all other civil flights, private or commercial Although scheduled air transport is the larger operation in terms of passenger numbers, GA is larger in the number of flights (and flight hours, in the U.S. In the U.S., GA carries 166 million passengers each year, more than any individual airline, though less than all the airlines combined. Since 2004, the US Airlines combined have carried over 600 million passengers each year, and in 2014, they carried a combined 662,819,232 passengers. Some countries also make a regulatory distinction based on whether aircraft are flown for hire such as Commercial aviation and flying done for hire, particularly scheduled service on airlines; and Private aviation includes pilots flying for their own purposes (recreation, business meetings, etc.) without receiving any kind of remuneration. All scheduled air transport is commercial, but general aviation can be either commercial or private. Normally, the pilot, aircraft, and operator must all be authorized to perform commercial operations through separate commercial licensing, registration, and operation certificates. Following World War Ⅱ, commercial aviation grew rapidly, using mostly ex-military aircraft to transport people and cargo. This growth was accelerated by the glut of heavy and super-heavy bomber airframes like the B-29 and Lancaster that could be converted into commercial aircraft. The DC-3 were also made for easier and longer commercial flights. The first commercial jet airliner to fly was the British de Havilland Comet. By 1952, the British state airline BOAC had introduced the Comet into scheduled service. While a technical achievement, the plane suffered a series of highly public failures, as the shape of the windows led to cracks due to metal fatigue. The fatigue was caused by cycles of pressurization and depressurization of the cabin, and eventually led to catastrophic failure of the plane’s fuselage. By the time the problems were overcome, other jet airliner designs had already taken to the skies.